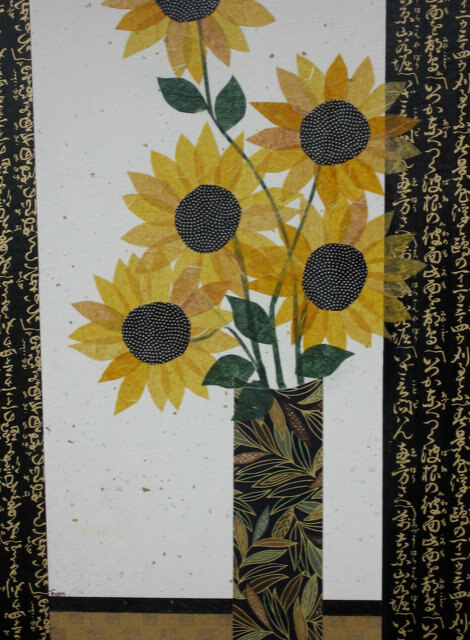 Anna’s Paper Collages are created using handmade international papers. She also uses marbled surface- designed papers and paste papers that she creates. She cuts, tears, and layers papers together and then uses archival paste’s to create her images. At times she incorporates acrylic painting and pencil to enhance areas of the pieces. 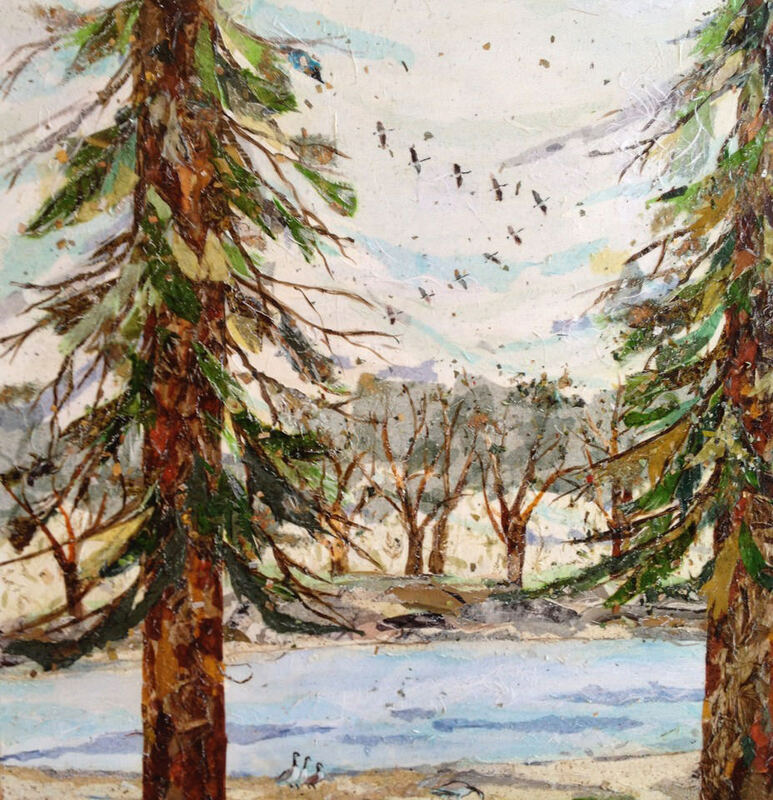 Anna has been collecting and creating papers for decades. She shares extensive collections of her papers with her students at her workshops. Most students are astonished with the variety and beauty of papers offered. Anna has visited cottage industries in paper making in Japan and Italy and was fascinated to learn how these papers were created. Working with papers offers the artist enhanced varieties of textures, colors and design possibilities. Many of the textures and colors of the papers being from natural sources and seem to blend well with home building materials such as granite, wood and marble. Anna is new to the area relocating from Corvallis Oregon. She grew up in Delta Colorado and is happy to be back. She has been teaching theme -based workshops for many years. Anna is an exhibiting member of the Blue Pig Gallery in Palisade Colorado. Anna teaches a series of one- day workshops in paper collage regularly for parties and small groups.